Covering all aspects of carpentry and building services, based on the Central Coast. 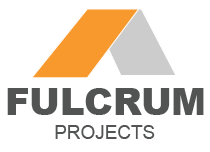 With over 20 years of experience and a wealth of knowledge to offer, Fulcrum Projects has a high quality commitment to every project whether it be large or small. We believe in creating your vision along with providing an exceptional service, specialising in high-end residential and commercial projects, with a boundless range of experience that includes architecturally designed homes, additions, extensions, decks and pergolas.